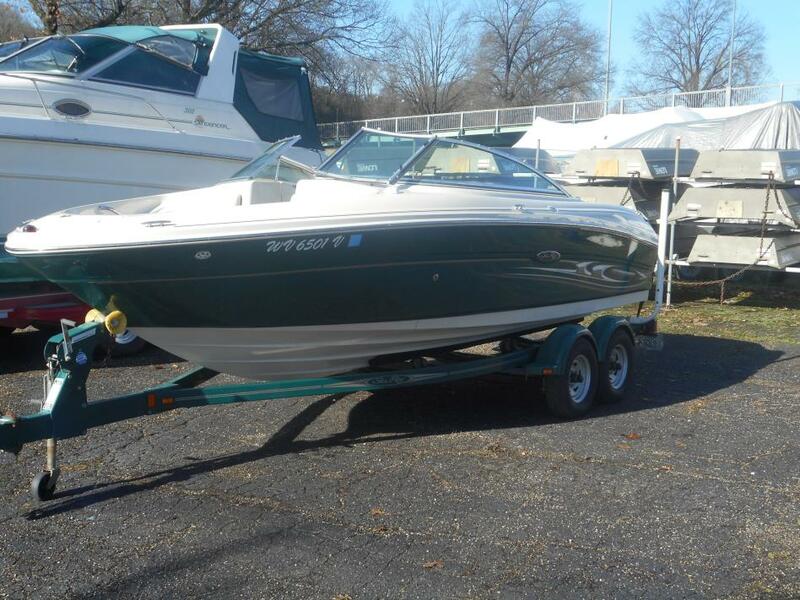 2005 Sea Ray 200 Select, Come check out this clean 2005 Sea Ray with **LOW HOURS**. This boat is powered by a Mercruiser 4.3L MPI engine w/ Alpha one Drive. This boat has brand new cockpit and bow covers. It comes with tandem axle trailer with brakes, snap in carpet, and bimini top. Come by and see this boat before it is too late! 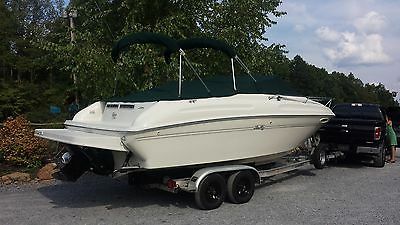 1998 Sea Ray Sport Cruiser 290 Sundancer, LOOKING FOR A CLEAN OLDER CRUISER! WE HAVE JUST THE BOAT FOR YOU. 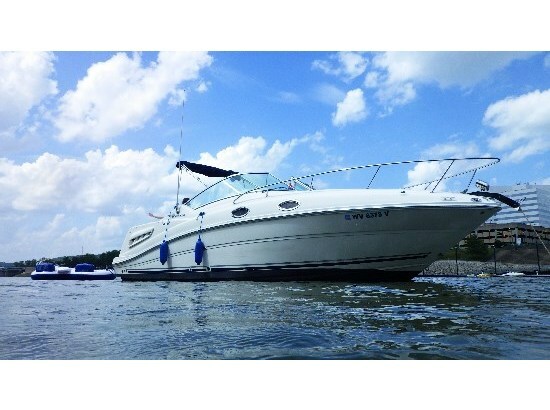 THIS 1998 SEARAY 290 SUNDANCER HAS IT ALL AND IS READY FOR THE WATER. EQUIPPED WITH, AC/HEAT, GENERATOR, FRIDGE, ELECTRIC RANGE, MICROWAVE, HEAD AND WATER SYSTEMS. THIS CRUISER IS POWERED BY TWIN MERCRUISER 4.3L ENGINES WITH ALPHA DRIVES. THIS BOAT AHS BIMINI TOPS AS WELL AS CULL CAMPER ENCLOSURE. 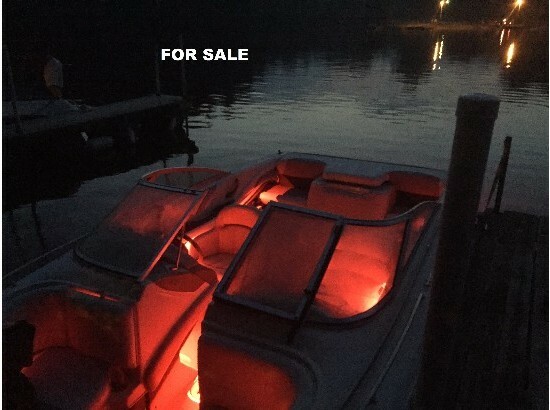 THIS BOAT DOES NOT HAVE A TRAILER BUT CAN BE PURCHASE FOR ADDITIONAL PRICE. 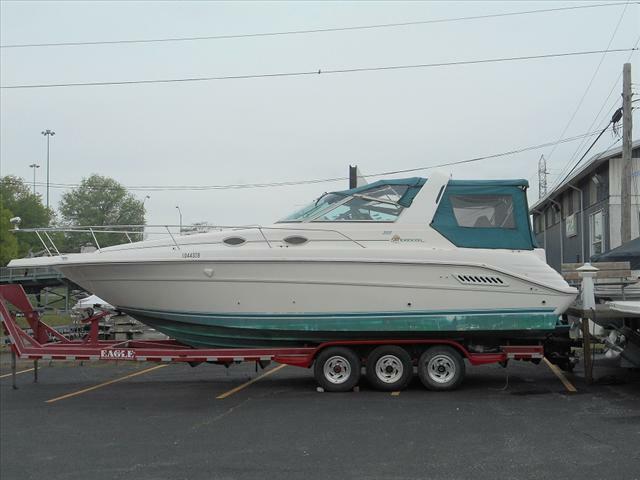 2005 Sea Ray 280 Sundancer Sea Ray 280 Sundancer. Total Length 31'1" 9.5-foot beam. Twin 4.3 liter Mercruiser engines with 877 hours on port engine and 865 hours on starboard engine. Mercruiser Alpha 1 gen 2 stern drives. Kohlar 5KW generator. Other Features TV/VCR combo, AC/DC refrigerator, Microwave,Electric cook top, Enclosed head with Vacuflush toilet, 6-gallon hot water tank, Hot water heat exchanger on port engine, Shower, Radar arch with Furuno Radar/Chart Plotter, Hummingbird Fish finder/Chart Plotter, Sleeps 6 (v-birth, dinette turns into a bed, and aft birth), 30-gallon fresh water tank, 28-gallon waste water tank, Windlass with 20-feet of chain and 200-feet of rode (controlled at helm or on bow), Spot light controlled from helm, Swiveling Captain's Chair, Walk thru windshield, Marine radio, Sat/AM/FM radio with 6-cd changer, Trim tabs, Fire suppression system, Carbon monoxide Alarm, High water alarm, 2-sump pumps in bilge 2003 Loadrite triaxle roller trailer is included. Has been keep in a heated garage in the winter months since 2011 prior to this was winterized and stored by Prince William Marina. 2003 Sea Ray 260 Sundancer The Sea Ray 260 Sundancer has the sleek good looks and high-caliber performance expected from a larger, more expensive cruiser. It offers a luxurious cabin that sleeps four and is packed with creature comforts inside and out. 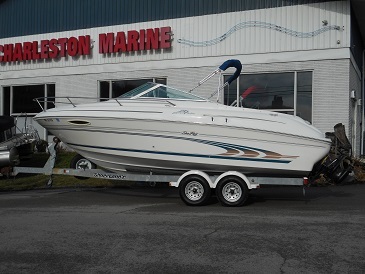 Includes a MerCruiser 6.2L MPI Bravo III stern drive. 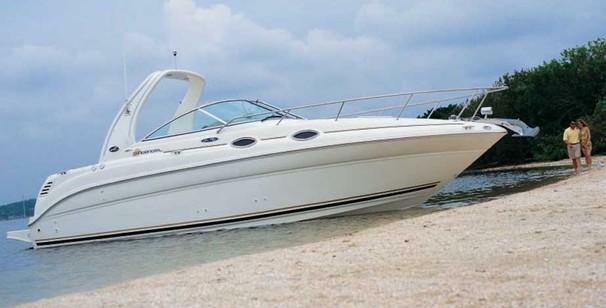 2005 Sea Ray 260 Sundancer, 2005 Sea Ray 260 Sundancer. Powered by Mercruiser 300HP Mag Bravo III Engine. Air/Heat, CD player/Radio, Cover, Fully Galley with refrigerator, microwave, cng stovetop, sink, bathroom with sink and shower handle. 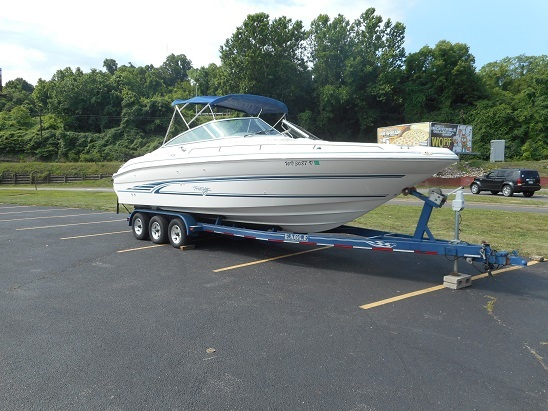 This boat was purchased in 2012 from Charleston Marine and has been stored and maintained by them in Charleston, WV. I never bothered taking it beyond the local stretch of the Kanawha River so it has very low mileage use on the engine. $33,900. Only about 330 hours on the engine. 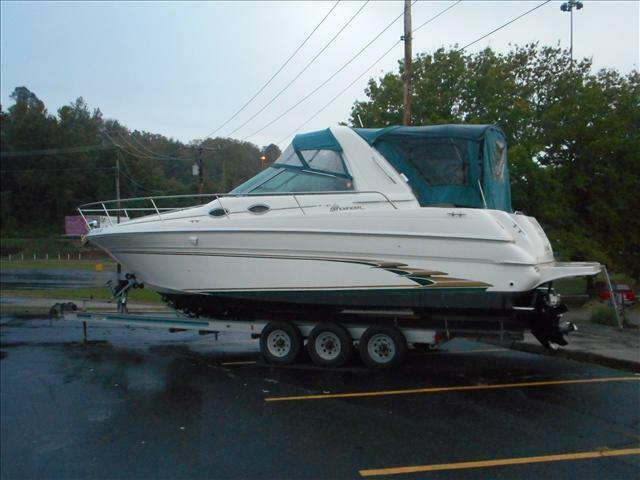 2001 Sea Ray 260 Sundancer, Come check out this great 2001 Sea Ray 260 Sundancer and get on the water! This boat is powered by a Mercruiser 5.7L EFI Bravo III with 260HP. Cockpit cover is included as well as the boat has AC/HEAT, shore power, head, and refrigerator. Trailer sold separately at price of $4000.00. 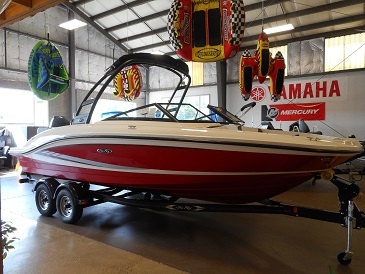 Stop by to check out this great Sea Ray Cruiser today! Transom locker provides abundant storage for gear. 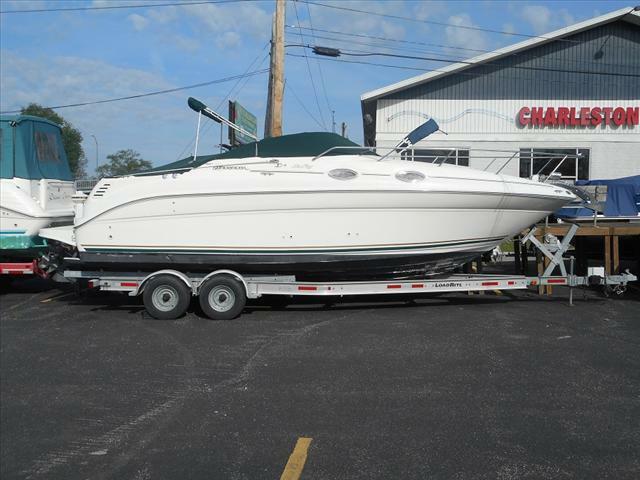 1997 Sea Ray CUDDY CABIN 215EC, FRESHLY DETAILED AND READY TO GO TO THE WATER. 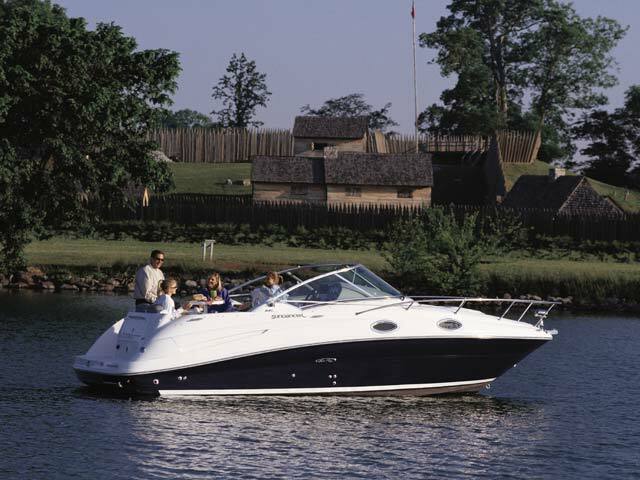 THIS BOAT IS EQUIPPED WITH A 5.7L MERCRUISER ENGINE *210HP*, FULL ENCLOSURE, MOORING COVER. cOME CHECK THIS BOAT OUT TODAY! 2000 Searay 215 Express Cruiser with the following equipment and options: 5.0 Mercruiser EFI and Alpha I Out Drive Stainless Steel Prop 485 Hours on Motor/Outdrive Lowrance Elite 4x Chirp-GPS/Fish Finder VHF Radio Depth Sounder Keel Guard Dual Bimini Tops Cockpit Cover Full Camper Enclosure Porta Potti Clarion CD/MP3/Bluetooth Stereo with 4 JBL 6.5" Speakers (ALL New) Extended Swim Deck Trim Tabs Snap In Carpet Magic Tilt Trailer with 4 new tires/rims/spare tire and surge brakes-Recently gone through with new brake assembly, hub, and bearings packed/greased. Gimbal bearing, boots, bellows, shift cable, and sending units were just replaced and boat interior is in great shape. 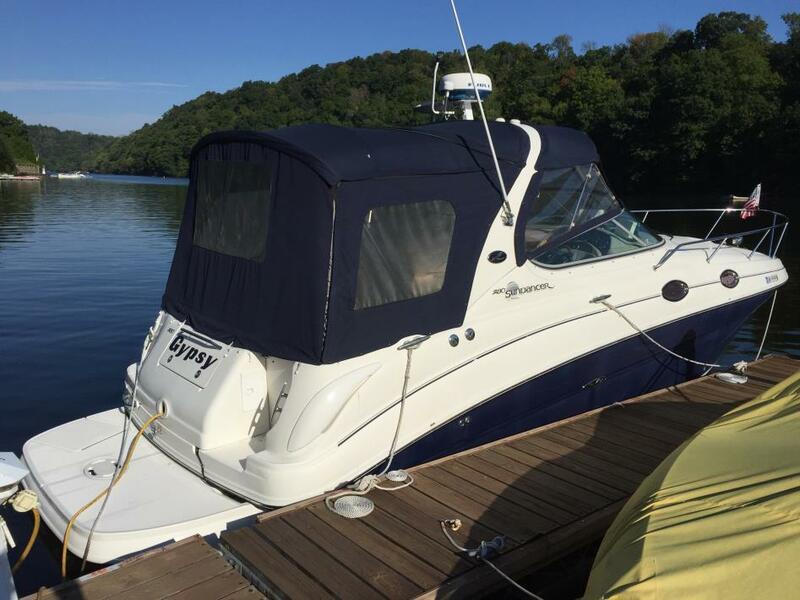 For reserve price boat will also come with grill, safety equipment, and docking ropes/fenders. Additional Items Replace: Ignition, Starter, Trim Tab Switch and Stainless Steel Steering wheel (Not Pictured). Condition Note: Small (Nickel Size) chip in gel coat on extended swim deck Small tear in one of the interior cushions Gel Coat has typical wear with a few scratches and chips but overall gel coat is in good shape.